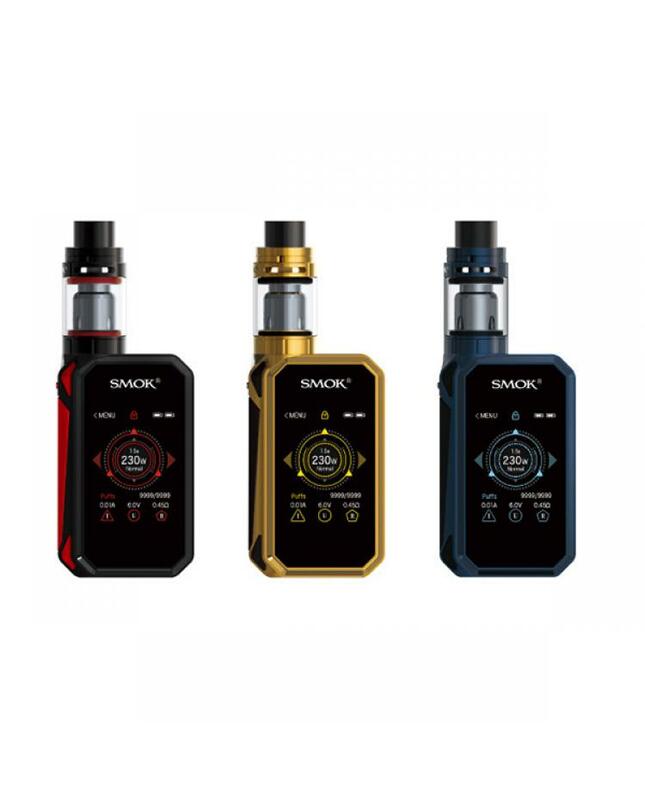 The G-Priv 2 is the newest smok vape kit and the new member of G-PRIV series, compared with g priv, it has a smaller body and upgraded operation interface. 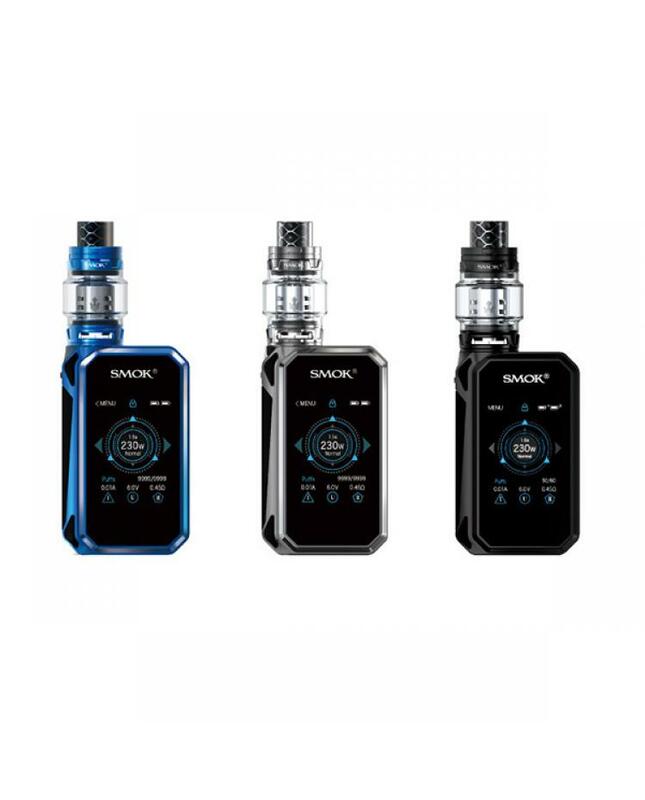 the new smok vape kit includes g-priv 2 TC box mod and TFV8 x-baby tank. seven fashionable colors available. 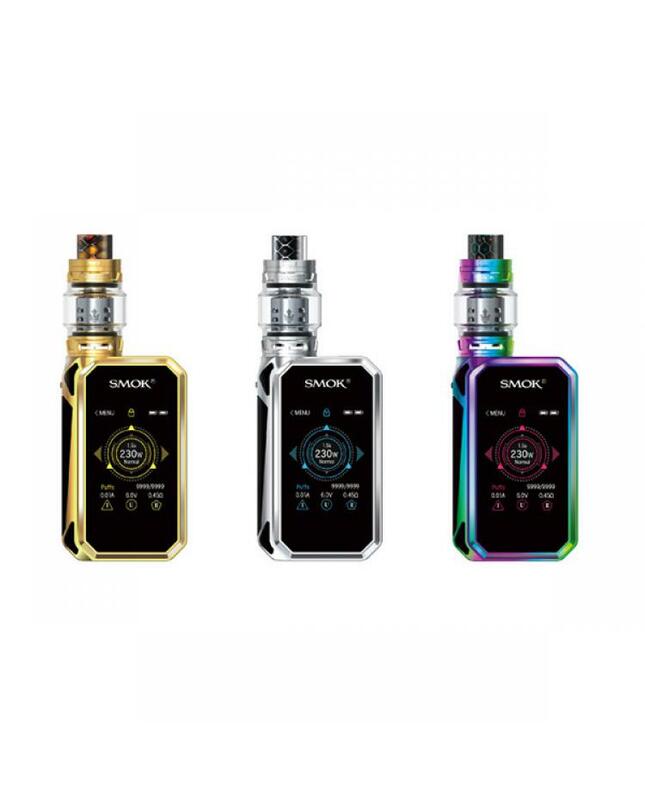 g priv 2 TC box mod with advanced ergonomic design,made of zinc alloy,simple and streamlined body,better hand feeling and more comfortable in hand.powered by 2pcs 18650 batteries and max output 230watts,support resistance as low as 0.05ohm under temp control mode,the new smok vape mod with one large2.0 inch touchscreen,which is more responsive,most of the operations can be finished with a simple touch operation,improved vaping UI let the vaping more simple,provides you more clearly and detailed vaping information, such as working modes, vaping effect, voltage, battery life, resistance value etc.also the screen have six different colors can be set. 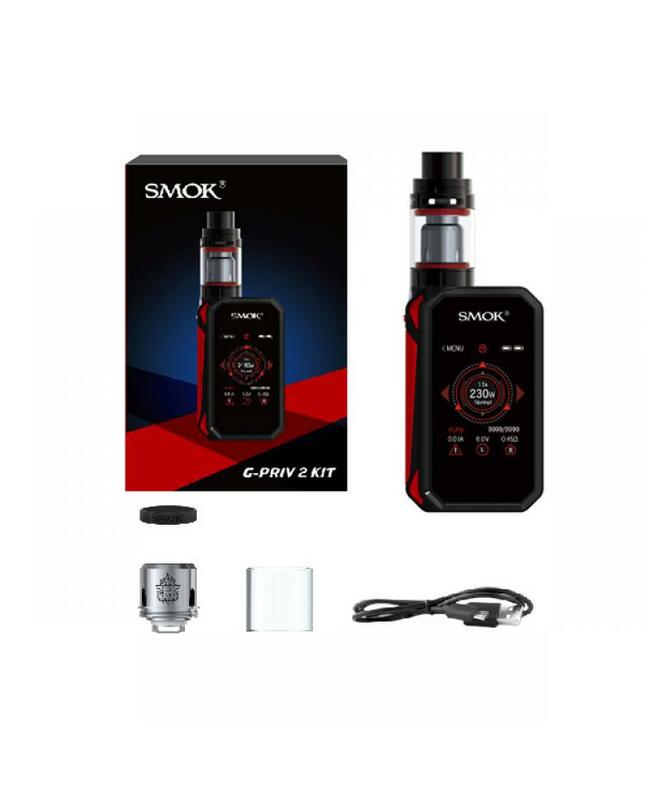 the main menu and sub-menu are easy to read and operate, can easily manage the vaping setting. the puff settings include puff numbers you have taken, setting limited puff numbers and puff counter clearly function. 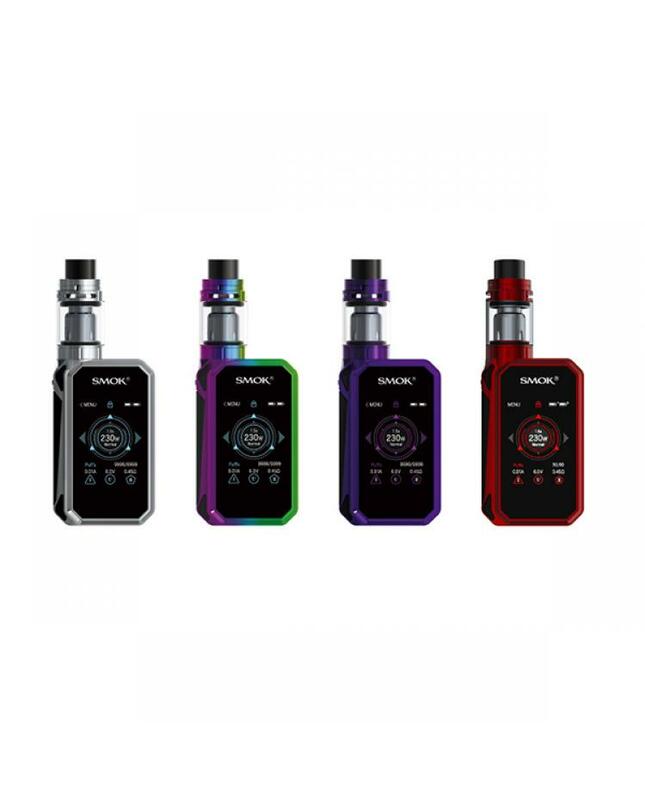 the smok TC box mod with dual battery life indicator, you will know how much power left of each battery easily. the independent screen locking button allows vapers to lock and unlock the screen.230 vape mod provides multiple types of protections to avoid potential risks, ensure the vaping safe and reliable. The TF8 X-baby tank is a new member of TFV8 beast tanks, can hold 4ml e juice, diameter 24.5mm, convenience top refill design, allow the e juice inject easier and quicker. the TFV8 x baby with top airflow control design, the large airflow slots under top cap, will provide entirely different cloud chasers, vapers can adjust the airflow to your preference easily. all parts of the new smoktech beast tank detachable, convenient to clean and replace coils. the newest 0.4ohm V8 x-baby Q2 and 0.25ohm V8 x-baby T6 sextuple sub ohm coils for this new vape tank can fire up to 130w. will produce a large cloud of vapor and flavor.